MarksvilleandMe: French Press Coffee at it's best. French Press Coffee at it's best. Having a French Press coffee maker is really the way to go. My husband prefers coffee this way over any other way. Easy to use, and comes with a nice measuring spoon for your coffee which also doubles as a clip for your bagged coffee. A little tip if you like flavored coffee add a bit of vanilla, cocoa, or cinnamon to your ground coffee before adding the water. Super yummy and a little extra treat for your self during the week. You can watch our video review for this product on YouTube. 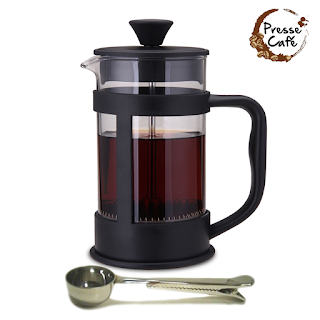 You can purchase the Presse Cafe French Press on Amazon. 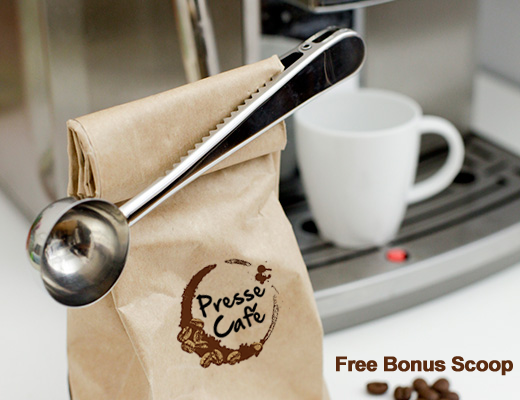 What Presse Cafe has to say about their product.